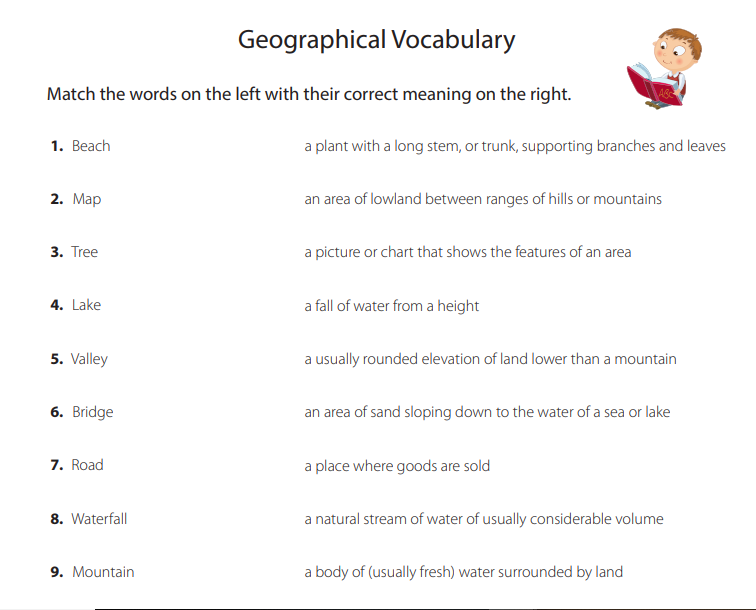 This geography worksheet was created for primary/elementary school students. 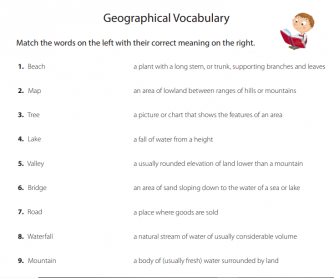 Students are asked to match the geographical words on the left with their correct meaning on the right by drawing a line. There are 14 words to match in this activity. How Much Geography Do You Know?